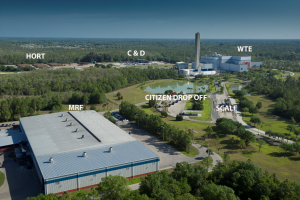 As a subcontractor to Tetra Tech, Inc., GBB assisted Lee County, FL with its Integrated Waste Management System (IWMS) Expansion Project. As part of the County’s plans for the management of its solid waste over the next 20 years, the Tetra Tech/GBB project team performed a waste characterization study, an evaluation of the County’s current system, a review of regional systems and national best practices, an evaluation of available technologies, a needs forecast, and an analysis of options. After the options were defined and preliminarily analyzed, the Project Team worked with the County to group them into several system scenarios that were fully described and analyzed. Projected costs were also determined. Internal workshops and meetings with County management and its Board of County Commissioners (BoCC) as well as a public involvement process to both inform and gain input to the direction the County should head in the future were conducted. The ultimate output for the initial phase of the project was a Basis of Design Report. Implementation and support assistance for future phases will be determined as the County undertakes the various policy changes, procurement, contracting, and development activities to begin changing its IWMS. Lee County, which comprises the Cape Coral-Fort Myers metropolitan area, has an award-winning solid waste system with an extensive array of assets, services, and operations that manages approximately 800,000 tons per year of waste and provides and oversees services to about 660,000 residents.